The singer of Life is a Highway made a trip this week to a place with no highways: Cambridge Bay, Nunavut. 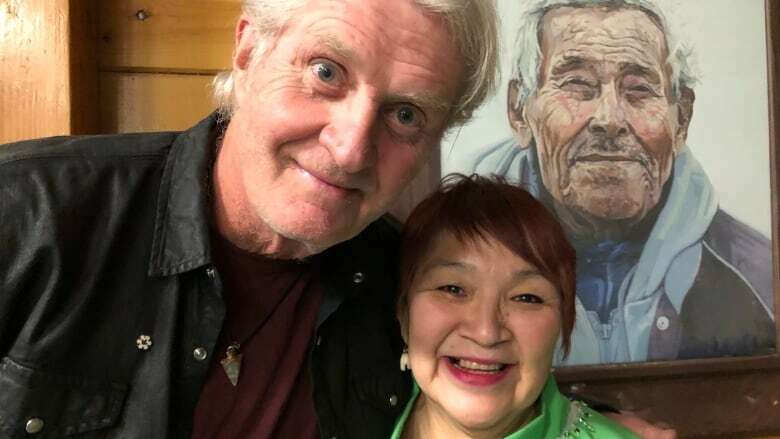 Tom Cochrane is in the territory for the first time, playing at the Kitikmeot Trade Show. "It's the first trip here, but I can feel the incredible spirit of the people and the North," said Cochrane. "I could see why people are drawn to it." 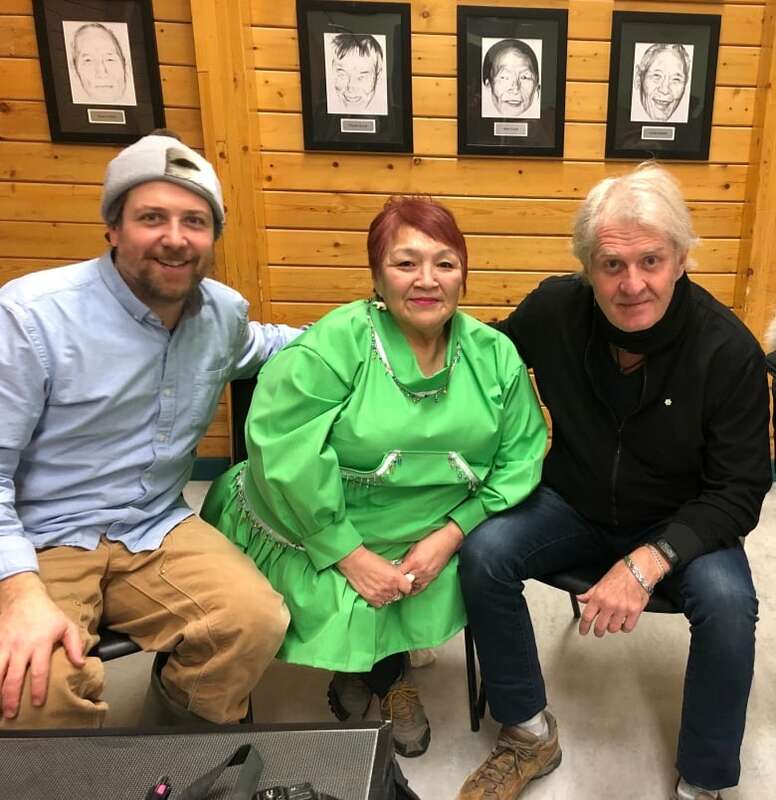 CBC's The Trailbreaker is in Cambridge Bay this week, after receiving an invitation from local Helen Tologanak. She co-hosted the show's interview with Cochrane. The community hall where Cochrane played on Sunday and Monday is named the Luke Novoligak Community Hall, after Tologanak's grandfather. "[Novoligak] was one of the most revered men in the community ever and one of the greatest hunters," said Cochrane. "It just sounds so great in here." Cochrane, from Lynn Lake, Man., said although this is his first time in Nunavut, he feels at home. "These kinds of communities define the spirit of the country." He said the community appreciates good storytellers, which bodes well for him because "that's what I do," he laughed. 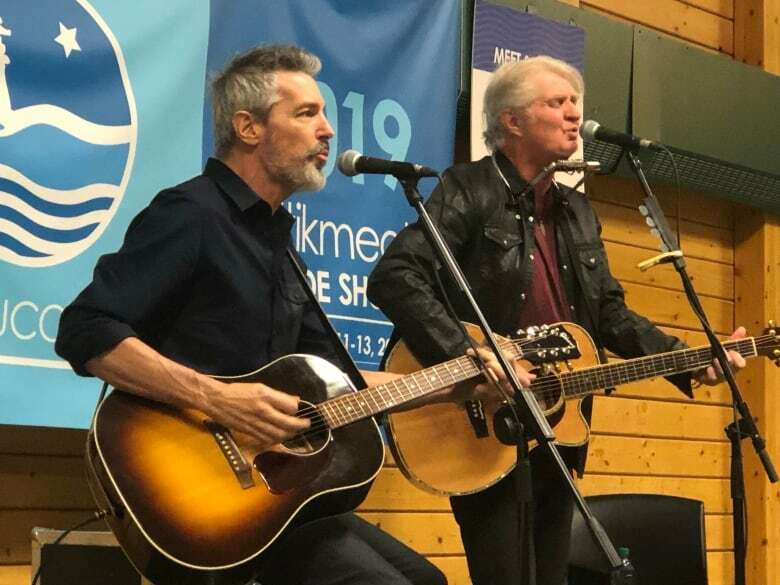 Cochrane said next time he comes to the community, he might just bring the whole band. For now, he's trying out the local cuisine. He's already tried a muskox burger, but is hoping to get a taste of maktaaq (whale blubber and skin) and fresh seal meat before he leaves. "If you leave without tasting any of that, maybe when you come back on your next trip we'll have it all ready for you," said Tologanak. Cochrane described himself as "a weird kid," who grew up loving sports and secretly writing poetry. "Back then it was considered not a very manly thing to do," said Cochrane. So to avoid being bullied, he kept it to himself and turned to music. "I segued my love for that into writing songs and never really intended to." Originally he wanted to be a journalist, specifically a war correspondent, but he ended up playing music in pubs and got side-tracked. It became his full time career when he was 26 years old and joined Red Rider. He isn't sure what song he'll write about Nunavut, but he said Tologanak will be "one of the first" to hear about it when he does.